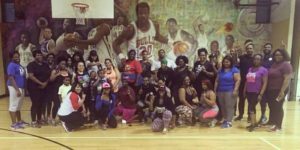 Join us every Wednesday at 6:30 PM for a dance fitness workout, in West Philly. We’re a group of men and women who like new friends and new results. Bring a water bottle and a friend. Bonus: We’re kid friendly. Only $5 per class which includes pre-workout beverage and post workout smoothie.